You will be given a reference e-book to read which has 135 pages And the test will be based on that e-book , you can take final test within 1 year of purchase. Aside from computer and communication skills, effective organizational skills are among the most vital skills possessed by a good employee. All business organizations would always want work with someone who is well-organized and is capable of focusing their attention on all the projects that are being laid out to them. Note, however, that company managers and business owners also require excellent organizational skills as these can help them in effectively organizing the tasks of their staff. Among the many organizational skills that are really required in a workplace are planning, resource coordination, scheduling, time management, ability to meet deadlines and general organizing. General organizing skills actually refers to those that allow employees to easily and quickly identify their needed supplies, arranging their files and knowing exactly who to deal when in search for specific data. Planning skills are also considered to be one of the most required organizational skills in a workplace. These are important in letting employees perform a few managerial or supervisory roles. Scheduling refers to the skill linked to properly allocating time for certain workload or tasks and making sure that specific tasks are appropriately assigned or delegated to other competent employees. This guarantees the faster completion of the tasks, thereby allowing everyone to meet the specified schedule. If you want to improve your organizational skills, then it is also important for you to improve your time management ability. It is because running an organization requires performing a lot of tasks so you need to effectively manage your time to get things done. If you intend to obtain excellent organizational skills, then be aware that Brainmeasures, an online certification provider, can now offer you an organizational skills certification program which covers everything that you need to know to hone your ability in this area. This organizational skills course from Brainmeasures continues to receive great reviews because it is proven to be really effective in making a lot of positive changes in the way a person organizes his tasks and responsibilities. With the organizational skills training which forms part of this program, you will get to know more about the most essential organizational skills that an employee should possess, the different roles and responsibilities that an employee needs to fulfil, basics of meeting deadlines and effectively managing time and the many strategies that you can use to continuously hone your organizational skills. Earning an organizational skills certificate is proven to be a really huge help since it allows you to become an asset to any organization. How to organize your workplace in such a way that it induces productivity? 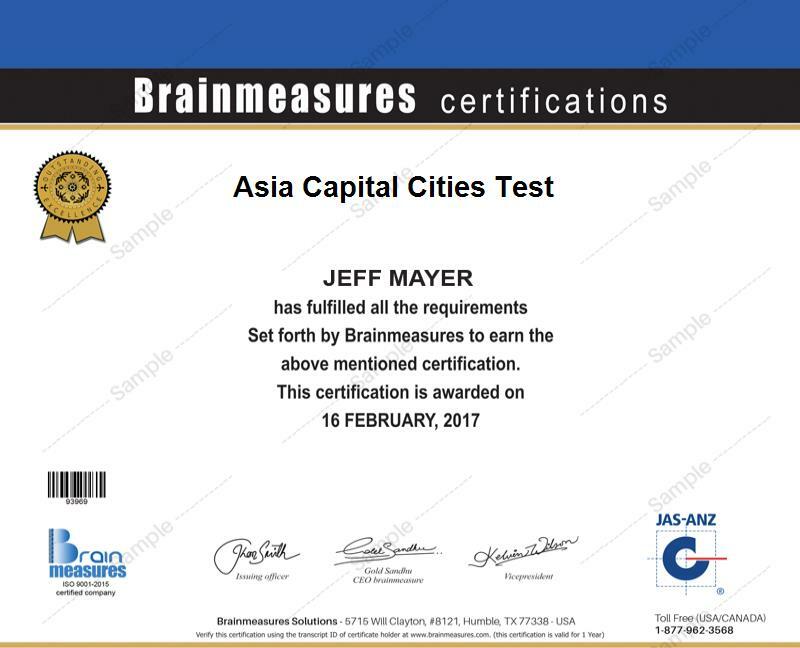 Every individual and professional need to improve their organizational skills so they can perform their functions even more effectively so the organizational skills certification program offered by Brainmeasures can be expected to offer benefits to everyone. This program is more suitable for business owners, department heads, sales professionals, managers, supervisors, administrators and other professionals who greatly need to boost their productivity and improve their work performance. Receiving an organizational skills certification is also a huge help in impressing potential employers so expect to enjoy higher job offers. If you have high organizational skills and use these to work effectively as an administrative assistant, then you can start to earn at least $47,000 yearly. Working as an executive secretary is also beneficial because it lets you receive approximately $58,000 to $145,000 annually.